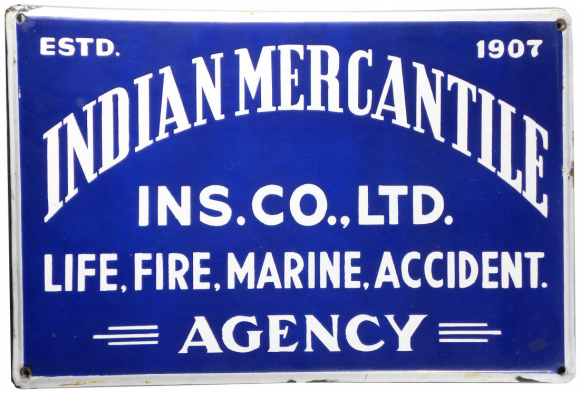 This is a rectangular Indian Mercantile porcelain sign. This particular Indian Mercantile sign is blue with white text. It reads, “Indian Mercantile, Estd. 1907, Ins. Co., Ltd., Life, Fire, Marine, Accident Agency”.